Thankfully, today’s techniques of follicular-unit micrografting are yielding undetectable results for patients around the country and the world. However, many hair transplant procedures that we perform at Bauman Medical Group still serve the purpose of improving the appearance of previous procedures performed at other clinics. A variety of techniques and keen artistic judgment is often required to properly ‘correct’ or refine the appearance of prior transplants that occurred as a result of poor artistic planning, antiquated techniques, plug procedures, scalp reductions or scalp flaps, lack of treatments to prevent ongoing hair loss, or problems with healing.In some cases, these results were not necessarily due to a ‘bad hair transplant,’ but often simply a limitation of what technology was available at the time of the original procedure or the technique which was used by the surgeon. Problems such as large size grafts (plugs, split-grafts or mini-micrografts), improperly placed or angulated hairs (hairs pointing in the wrong direction), donor area scars or recipient area scars, hairlines that are “too straight,” lack of temporal-point restoration, and so on, are common problems. Sometimes, there exists a combination of problems that require different approaches and techniques in order to achieve improvement.Dr. 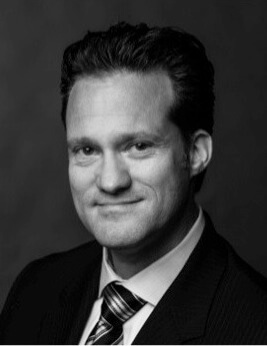 Bauman takes an individualized approach to each patient and the aesthetic issues. Naturalness and coverage are top priorities when it comes to corrective or repair procedures. Old large plugs may or may not need to be completely removed (excised). Often, the ‘pluggy’ or problem areas need to be completely removed, microscopically dissected into follicular-units and then re-transplanted into the appropriate areas with a natural angle, orientation and position. Sometimes, larger plugs that are in an appropriate position and growing hair that is pointing in the right direction may be left in place and simply camouflaged with newly transplanted follicular-units.Hairline refinement, hairline softening, and hairline repair is not an ‘exact’ science and can sometimes require more than one procedure. 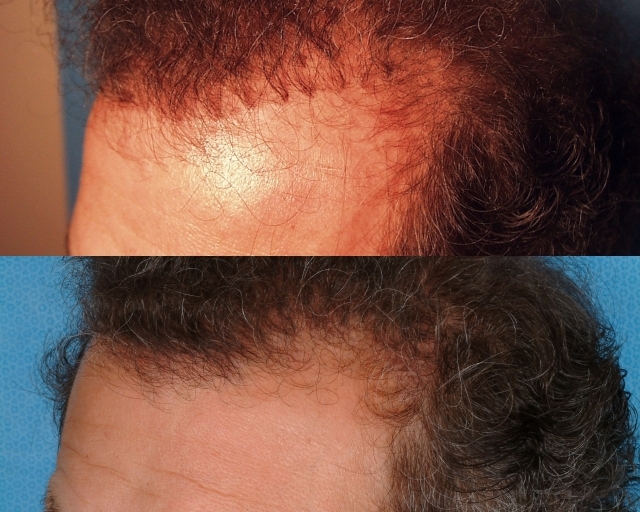 Typically, however, significant improvement in naturalness and coverage can be accomplished in a single session.New harvesting techniques, such as Follicular-Unit Extraction (FUE), are particularly useful for hairline refinement because it enables a ‘hair-by-hair’ or ‘follicle-by-follicle’ approach to the repair process. 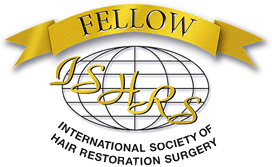 Hairs pointing in the wrong direction can be harvested and then re-transplanted during the same procedure using FUE.Follicular-Unit Extraction (FUE) can also be used to camouflage widened donor scars (Dr. Bauman has presented on this topic on numerous occasions) as well as ‘normal’ linear scars that are difficult to hide with very short haircuts. 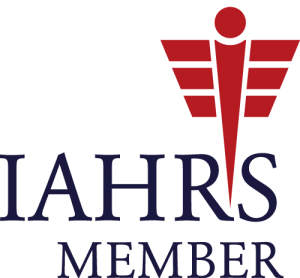 When viewing Dr. Bauman’s photo gallery of hair transplant repair procedures, please be aware that the prior unsatisfactory procedures were all performed at clinics other than Bauman Medical Group. After the incisions are made, the technicians assist the surgeon in placing the grafts into their recipient sites. 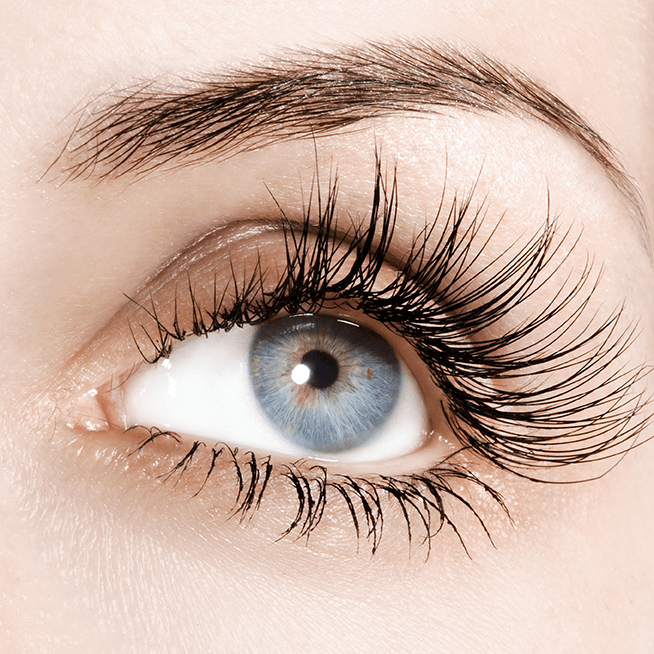 Compared to older techniques, the micrografting process heals faster and better, and produces dramatically more natural results. The resulting hairline from micrografting has a subtle, feathered appearance. The success of a micrografting procedure ability to camouflage a previous ‘plug-type’ hair transplant depends on several factors, including the location of the previous work and the amount of available donor hair. Many times, patients who have had previous plug transplants have been left with a significant amount of donor scarring. To repair previous plug work, usually a combination of graft sizes are used; single-hair grafts to recreate the hairline, and two and three-hair grafts between the existing plugs. Strategic placement of these tiny grafts camouflages the ‘plugginess’ of the previous procedure when they grow in. Sometimes this type of corrective work may require more than a single session. Today, micrografting technology has the ability to not only help patients with hair loss, but also those who have had previous hair transplant procedures that have resulted in unnatural hairlines.